With the start of cold weather, PETA and company have started a campaign against wool. 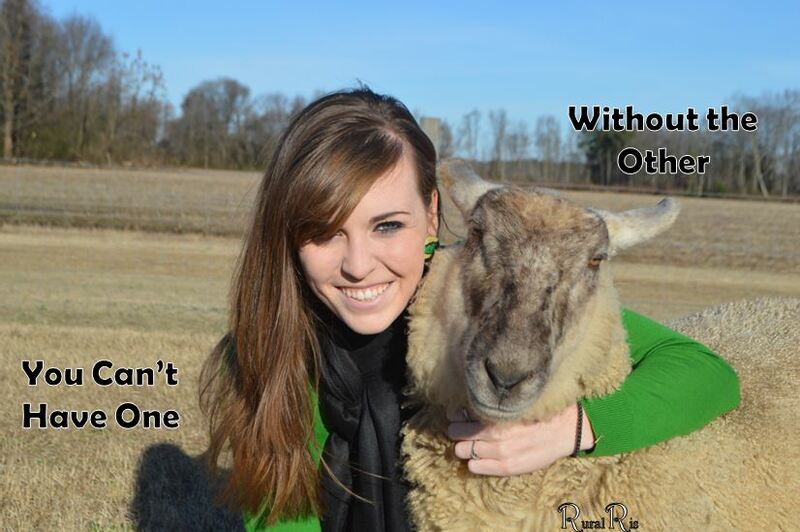 The following photo and the hashtag #WoolFreeWinter has gone viral. The photo is quite gruesome, I must say, BUT it isn’t really true. How can it not be true when it is staring you in the face? I cannot deny that the photo happened somewhere; however, the statement “you can’t have one without the other” is NOT true. It is plain and simple. That is not how wool is taken from sheep. If it was, I wouldn’t have many sheep left on my farm. Wool is sheared from a sheep much the same as your hair can be buzzed from your head. The animal may yell a bit because they aren’t thrilled about being confined, but ultimately, the sheep runs away a few pounds lighter, much cooler, and very alive. I don’t know where this photo came from; however, it is more likely that what you are seeing is the beginnings of a pelt. 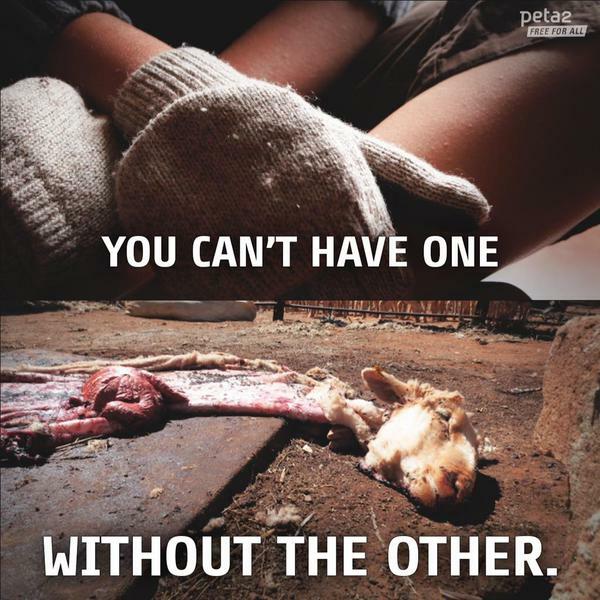 Pelts include the wool and hide from a sheep, and no, sheep are not skinned alive. Pelting a sheep is all part of the process of utilizing as much of the sheep (meat, organs, pelts, bones, etc.) as possible once harvested. Sheep need to be sheared on an annual basis. They do not naturally shed their wool and by shearing season, it can weigh around 15 pounds. When you use wool, you are not only helping the sheep out, but are utilizing natural resources. I promise I have worn wool from my sheep, and they are still enjoying the life of a sheep at this very moment (In the above picture, I’m wearing a 100% wool sweater). The entire wool industry does not need to be boycotted because of this misinformation. It is completely ethical and fine to wear wool. In fact, it would be greatly beneficial to have a little more wool in your closet. Wool is an amazing fiber that has some fantastic qualities. Wool is flame retardant. If you set it on fire, it will extinguish itself. It is comparatively stronger than steel. Wool can absorb 30% of its weight in moisture and not feel wet or clammy. It has great durability and can fold back on itself 20,000 times without breaking, while cotton can only be folded back 3,000 times and silk 2,000 times. Wool fibers can be stretched 50% when wet and 30% when dry and still bounce back to its original form, giving it an A+ in the flexibility category. If those qualities aren’t awesome enough, wool is also an extremely versatile fiber, making it wearable all year round. “Hold up!” I hear you say, “Wool is hot and itchy and not for summer.” That is stereotyping. Wool can be thin and lacy. It can be super soft and also itchy. It all depends on the type of wool (check back on Friday for an explanation of the different types). Think of wool like a cooler or thermos. Because of its makeup, wool keeps warmth in during the cold, and cool in during the heat. It isn’t just for winter; it is for everyday of the year. PETA wants a #WoolFreeWinter, but I say #WearMoreWool. Post those pictures of you and your wooliness. Wool is too fantastic not to wear. It isn’t cruel. It helps sheep. Besides, mimicking is the highest form of flattery. 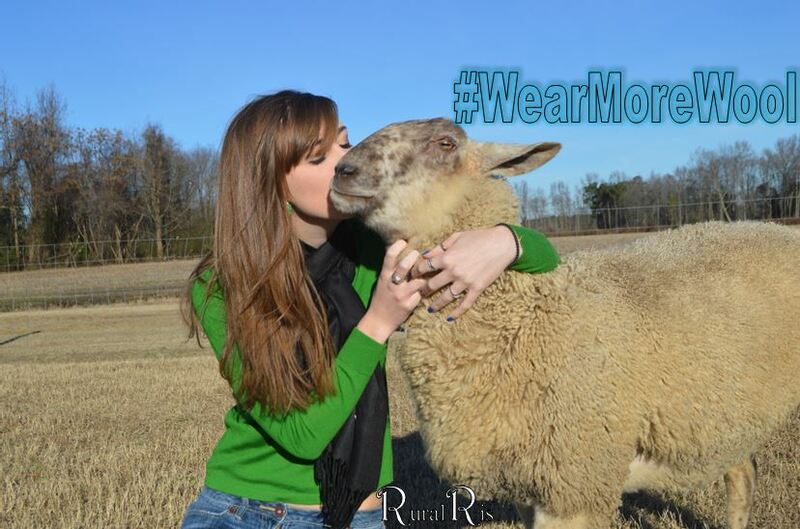 So mimic the sheep and #WearMoreWool. See just what it is to be in sheep’s clothing.